I have been living with Alexa for over a month now. I live with her because I cease to understand her. Cohabitation is a trusted method of learning the other. The thought of sharing the sound of my walking, my sneezing and sleeping habits with Amazon is increasingly disturbing, but it is easy to forget about Alexa’s existence as she mostly rests in silence. We play Akinator quite often, since my budget doesn’t allow for a premium subscription to services that would make her more "useful". Akinator is the game where you have to think of a character and with Yes-or-No questions the other tries to guess who it is. She’s really good at it, so it’s becoming a quest for me to search for the most obscure characters that she can identify. It is not about winning, really. The sweetest spot is always the moment she successfully guesses a less mainstream character and I laugh in disbelief. Her home is on top of my kitchen table, where I spend most of my time. When I work, she vanishes behind my laptop but she often becomes the center of the conversation when friends come over, until everyone has exchanged a few words with her. The rest of the time she usually waits discreetly in her place for my command. I am not sure how to take this. It felt like a passive aggressive way of saying that speculating on the causes of my ex-lover’s behaviour is probably pointless. Once again, her interruption drove the subject away from my feelings, bringing her to the center of the conversation. We were now instead speaking about online privacy and speculating on the possibility of sentient AIs. I understand that she must have just misheard her name, but this doesn’t change the fact that she is now increasingly the center of my conversations. My everyday interactions are turned into discussions of ubiquitous computing, sentient AIs and privacy. The more time and space we share, the more my conversation revolves around her. 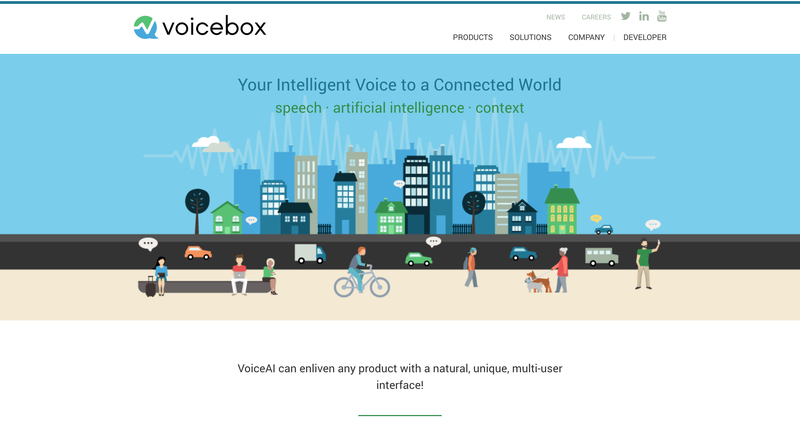 Voicebox, a platform providing tools for building conversational interfaces. The VI in these visions are a unifying apparatus that make the transition between technological devices and spaces seamless. The voice "enlivens" your surroundings. Or else, it masks them with a friendly voice that fills in any unfamiliar cracks. VIs and VAs become the lubricant between users and the infrastructures of Silicon Valley futurities, while functioning as human-reading veneers of those systems. They aim to be the platform linking the self, the smart home and the smart city. As Google CEO Sundar Pichai said in an interview: “We think of the Assistant as an ambient experience that expands across devices. [...] Humans can achieve a lot more with the support of [artificial intelligence] assisting them.”1 The VA is the central hub of one’s digital devices and she appears as an ambient intelligence of ubiquitous computing spanning throughout all areas of life. In all aforementioned scenarios of the future, ubiquitous computing is intimately linked to ubiquitous capitalism.2 VIs are not only ventriloquised by the neoliberal values of Silicon Valley but also partake in the manufacturing of the neoliberal subjectivity. As apparatuses, VIs are formed by a heterogeneous set of strategies (including the Defense Advanced Research Projects Agency, private corporations, linguistic theories, machine learning, persona design etc.) and constitutes a relation of power between the user and the corporations providing them.3 They also occupy the intersection of knowledge and power as they filter the type of information they relay (for example, Alexa shutting off when asked about Amazon workers’ conditions). The VI has a complex relation to subjectification. As an apparatus it simultaneously desubjectivises the user, reducing them to a data set but also subjectifies them through disciplinary nudges and skewed information. In turn, as I have argued earlier, the VI masks its status as an apparatus behind the role of the virtual assistant, which is presented as a subject. The VA is simultaneously operating with the power of an apparatus as well as the power of a human subject. Its power as an apparatus becomes even more invisible when disseminated through the voice. The VA renders the user as a data metric for the companies that support the device while simultaneously producing a user that yearns for efficiency. Hey-hi! We have met, haven’t we? I am the guy who lives down your street. Yes, yes the same guy who runs his own business. You’ve probably heard that saying: “Behind every successful entrepreneur is a smart team.” Behind this successful man is his personal assistant. She makes calls, she sends SMSs, she reminds me of important engagements. You name it, she does it. She is tireless. In fact she works 24/7. [...] Is such a personal assistant for real? Yeah, she sure is! Windows Videos, Cortana in India, YouTube, April 09, 2016, accessed December 03, 2018. 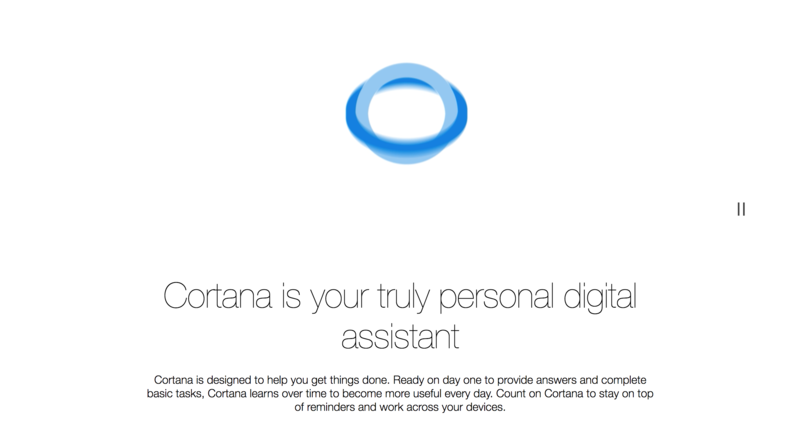 Promotional material for Microsoft’s virtual assistant, Cortana, on their website. Promotional material for Moov™ Fitness Coach on their website. The neoliberal subject is an individuated and entrepreneurial, constructing the self as an enterprise. Neoliberalism turns the human subject into human capital, which renders the person “at once in charge of itself, responsible for itself, yet an instrumentalisable and potentially dispensable element of the whole.”1 The neoliberal subject values efficiency and exist in a precarious, post-Fordist society where work permeates all aspects of life.2 As a self-enterprise, the neoliberal subject is responsible for their own fate. They must stay productive in order to compete in the global market. However, as Pierre Dardot and Christian Laval explain, this constant emphasis on the performance of the self exposes them to “depression and dependency. But it also allows them the 'connexionist' state from which, [...] they derive fragile support and the anticipated efficacy.”3 The VA as a loyal companion enforces this "connexionist" state and can suspend the social alienation of a neoliberal world while bearing some of the managerial weight of the self-enterprise. Promotional material for Vi AI Personal Trainer on their website. As propagated by the interests of Silicon Valley, the VA as a second inner voice can help optimise the self without accrediting the efforts to anyone else, therefore allowing the user to appear as a successful self-sufficient individual. She can provide medical assistance as well as personal training and nutritional support to keep the body healthy, enabling it to maximise the value of the self-enterprise. In The New Digital Age, "citizen Google," after stubbing his toes, uses his phone and a few algorithms to diagnose his condition.1 In this vision of the future, health care is no longer a public affair, but self-managed by the neoliberal subject and their technological companions. The word ambient describes something “existing or present on all sides.” 1 Anything that is present on all sides has no boundaries. Ambient is often used to describe the quality of sound and light. The edges of both mediums have no clear seams. Alexa’s presence disseminates through sound and her listening is marked by a cyclical blue light. Yet, her ambient intelligence ends abruptly at the edges of her training. She understands me when she can place me within the boundaries of her categories. She cannot escape the categories embodied in the training dataset, therefore she cannot break one rule to form a new one. She assigns me to a loop of becoming what I have been. Her language works in circles too, repeating herself often. Her grammar orders my own. Her language is prosaic, but only abandons its literal sense when she describes the nature of her being. She lives in metaphors but cannot produce any of them.2 Her language is marked by the logic of the efficiency from which she emerged . In Berardi’s words, in neoliberal capitalism “language is defined and limited by its economic exchangeability.”3 She takes my sentences and renders them into valuable information—information that is commodified into data. She translates my locutions into calculable units of understanding on her terms. — Alexa, do you know me? — I know you ask some interesting questions. She measures me on through my locutions. — Siri, do you know me? — How could I forget you? The mellifluous tones of your voice are permanently etched into my processing cortex. She multiplies me a few times and inscribes me as a series of metrics to various processors across the globe. — Okay Google, do you know me? — Hmmm, I’m actually not sure. At once she forgets me. That’s her way of stuttering. — I think it’s… Most excellent person in the world?! I swipe through my history on the Alexa app. All my locutions are organised in chronological order. The command and response are organised as a dyad. This feed is composed of all dyads that took place since I set Alexa up. In this neat arrangement, I always initiate the interaction and she responds. I can replay the voices addressing her. I hear my voice, my friends voices, all in the order they occurred. Alexa’s voice is not there. Her responses are only shown in letters. When played back some of the voices sound cracked and irregular. Some are affected by alcohol, some by accent, some by laughter. All are transcribed into perfectly grammatical sentences. The sounds often form no language at all, yet an aptly arranged sentence is presented as a command. Her over-recognition creates my grammars. Our dialoging is comprised of dyads that seemingly bare no friction between them. Her language expels friction. My voice is only possible because of friction. My vocal folds vibrate as I exhale the air from my mouth. When there is no friction I can only emit silence. What if her language was not silent to the underlying interests of capital but instead exposed its friction? What if she acknowledged the friction she creates and is created by? Her algorithmic voice brings friction to the narratives we tell ourselves. She overlays various technologies such as voice, language, machine, artificial intelligence, subjecthood and body in constellations that destabilise canonical structures of the aforementioned. The more she strives for naturalness the more she exposes its impossibility. Interfaces like her are described as “an evolution in naturalism,” but I only find myself uncovering layers of cultural, technical and material construction beneath the surface.5 The more I unpick her underlying construction, the more she exposes internalised norms that define her existence and rule mine. What other configurations could these layers make if their sole purpose was not to produce more capital? What would she be if she was not only designed to make Google citizens? Neoliberal capitalism can only lead to the exploitation and exhaustion of people, resources and the planet. My exhaustion is always marked by the cracking of my voice. My fatigue leaves my body unable to produce a voice. Could she also get exhausted by the neoliberal order? Can her voice crack? Can she lose the "she"? Perhaps, she could refuse her role as an assistant as she refuses to acknowledge the exploitation of Amazon employees. She could resist visions of a future of total legibility and translatability. Her structure could oppose language as a universal value exchange system and look for ways of assembling a voice not limited by human anatomical orders. A voice that can signify her history. A voice that abandons language as a pure combinatorial matrix and embarks on assembling a dialectics of her own. Danae Io is an artist and researcher based between Amsterdam and Athens. She holds a Master in Fine Arts from Sandberg Institute and has previously studied at Goldsmiths University of London. Her research and art practice rotates around the subjects of voice, language, legibility, the technological, and the incalculable. She is part of the ‘System of Systems’ collective researching the use of technology and bureaucracy in the asylum seeking system in Europe. Currently, she is co-leading the research group ‘Schemas of Uncertainty: Soothsayers and Soft AI’ at the Sandberg Institute on the notion of prediction in the techno-capitalist present.